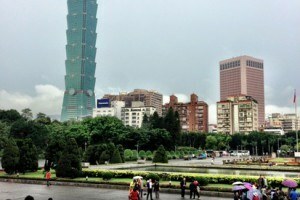 Taiwan is a great destination for a family trip. We spent a week in Taipei, and it left us wanting more. It is a big, clean city with an excellent transportation system, outstanding food and a lot to offer families. 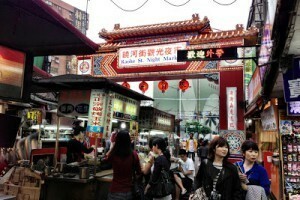 This is the Taiwan section of our travel blog. 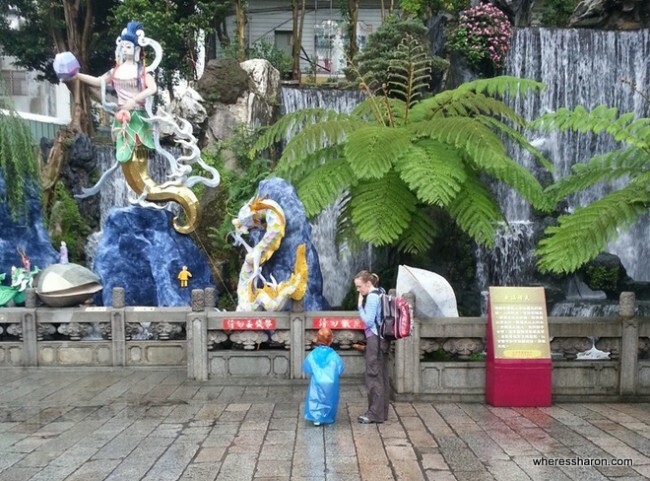 We enjoyed Taiwan with kids a lot, especially the food and the ease of getting around. However, there is a language barrier. Not many people speak english, although we didn’t find this to be too much of a problem. The couple of times we took taxis, we made sure we had the address written down in chinese, and we didn’t have any problems using the public transportation which has lots of english signs. It does gets trying at times to never know exactly what you are ordering or whether people understand you. Click here to download our complete checklist of things to do in Taipei with kids! 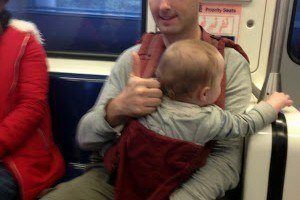 Using a stroller is a great option here. Baby products were a bit more difficult, not because they are hard to find, but because labels are usually just in Chinese which makes it very hard to know what you are buying! Our biggest problem was that people weren’t very tolerant of our children. They were no worse than they would be in Australia, and they certainly weren’t rude, but it was not the friendly helpfulness we usually receive while travelling in Asia. We didn’t see young children out very often, let alone two with the same family, let alone two loud ones like ours. It is hard. Our kids were only 12 months old and two when we were here, and that made it hard for us to relax, which in turn meant the kids got louder and were more trouble. 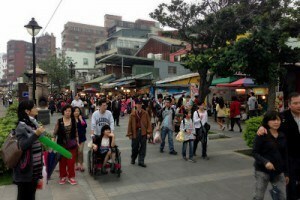 I do recommend Taiwan as a destination for family travel. However, it is perhaps best to wait until your kids are a bit older and not so loud. Howard Plaza Hotel Taipei – This is a great option for families who would like a hotel with a pool in a central location. Cribs are available. Check out more details and the latest prices here. Hotel Riverview Taipei – This hotel also works well for families thanks to triple rooms, 2 double bed rooms and cribs. See the latest prices here. 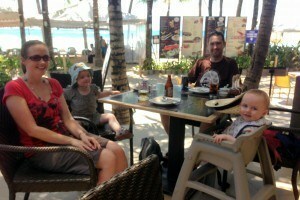 One Plus One Hotel – This is a great choice for families on a budget. It is a step down in price and quality compared to the two above, but is still a very good option and they offer family rooms. You can find more reviews and the latest prices here. 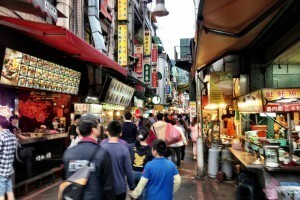 Read our full guide to where to stay in Taipei here. 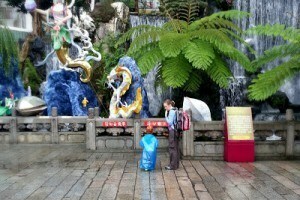 You can read more on our Taiwan travel blog in on our Taiwan wrap up page and in our SE Asia Travel with Kids adventure. 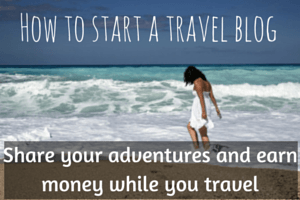 Enjoy our Taiwan travel blog. You can also download our complete list of things to do in Taipei with kids – all 26 of them! 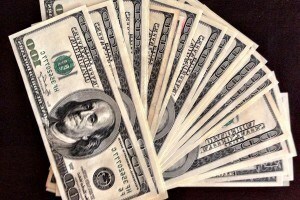 Disclaimer: This article contains affiliate links. This means if you make a booking after clicking on one of these links that we may receive a small commission at no extra cost to you. Thank you for supporting this site.